Knowledge Nuts informs us that Lee and Johnson may have surrendered in 1865, but the last Confederate stronghold, Town Line, New York, which seceded and joined the Confederacy in 1861, held out without rejoining the Union until 1946. 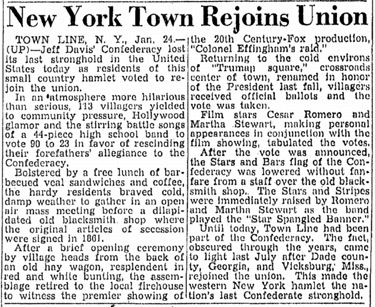 Unusually for a town so near the Canadian border, Town Line, New York voted to secede from the Union in 1861 and join the Confederacy. While the circumstances surrounding the treasonous act is shrouded in urban legend, the secession—ignored by the Union government—remains a curious aberration. Town Line was the only Northern town to turn rebel during the Civil War, and didn’t rejoin the US until 1946, making it the last stronghold of the Confederacy. 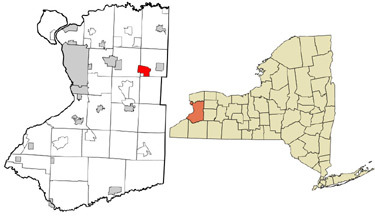 Town Line in Erie County, New York is only a few miles from the Canadian border. Go to the local fire station and until recently, you might have seen the personnel wearing shoulder patches reading “Last of the Rebels 1861–1946.” During Civil War celebrations, townsfolk display the Confederate flag and wear the Confederate gray. Any visitor would be baffled. It is well-known that the loyalty of towns farther south, near the Mason-Dixon Line, wavered along the divide between North and South during the war. But in upstate New York a few minutes from Canada? In a town populated in the 1860s by first- and second-generation German immigrants with no kinship ties to the South? Nobody really knows the reason why, in late 1861, the men of Town Line gathered in a schoolhouse and voted 85–40 (or by some accounts 80–45) to leave the Union and join the Confederacy. They clearly supported Abraham Lincoln in the previous election. Among other provocations, perhaps the most likely was President Lincoln’s call for 75,000 men, to which the German farming community refused to comply. The secession was largely symbolic, as the government did not recognize it. It never sent troops in to compel the town to return to the US, the Post Office continued its business and taxes were still duly paid. That didn’t mean, though, that the entire thing was a sham. There were real rebels in the town, and a few even left to actually enlist in the Confederate army. On the other hand, some of the men also fought for the Union. By 1864, as the tide of war turned against the South, the town’s secessionists were being harassed, forcing some to flee to Canada. The matter was once again put to the vote. Incredibly, the first vote held on December 1945 still failed to secure unity. The town had by now become national news, and the next attempt at reunion was attended by celebrities like movie actor Cesar “the Joker” Romero. 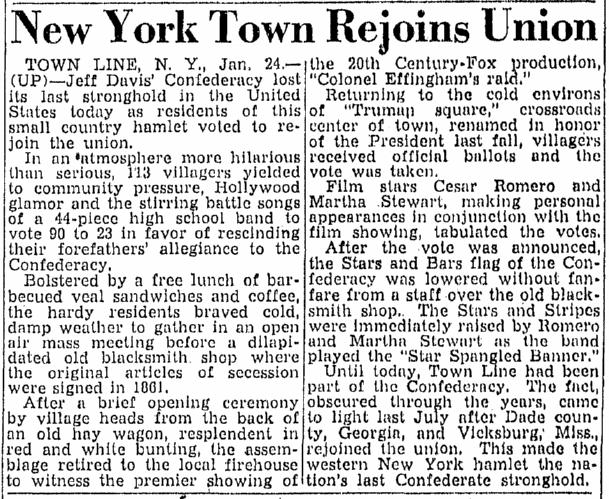 Finally, on January 26, 1946, Town Line officially voted to be readmitted into the Union. (Still, 23 rebels decided against the measure—truly the town’s last Confederates.) The rebel flag that had flown for 85 years was hauled down, and the residents took the oath of allegiance. It happens. You walk into Griffin & Howe (or the real Abercrombie & Fitch decades ago) without the slightest intention of buying anything, and you wind up leaving with some English shotgun or Payne fly rod you couldn’t possibly afford, but which has suddenly become a cherished and essential component of your personal existence on the planet. I have no idea what possessed me to walk into the Rick Owens store. To call this flagship a store is hysterical. It’s a miniature fortress of solitude constrained by New York proportions that shrewdly offsets the stark, jagged cave-witch clothes inside. To the uninitiated, it’s uninviting and faintly hospital-ish. Entering is akin to arriving at the cafeteria of a new high school, where said high school is populated entirely by clones of Rihanna. It’s terrifying. You worry you might wet yourself a little. The mystique of the store has mostly to do with the designer. Rick Owens is a tall, sinewy man with a thin nose, Old World teeth, and fantastic hair. He resembles an Egon Schiele subject and lives in a five-story Parisian mansion with his muse and business partner, Michèle Lamy. (Lamy doubles as Owens’s much older, pygmy-size, polyamorous goth wife.) Together they make $800 shirts that look like lice-infested shrouds worn by medieval serfs. I dared myself to buy that coat and then dared that coat to rebuke me. I wanted to prove that I could visit the apex of cool-rich-people New York (as opposed to the tacky, evil, overwrought rich-people New York), buy a souvenir, and not turn into a hobo. I know native New Yorkers complain all the time about how anesthetized the City is now. 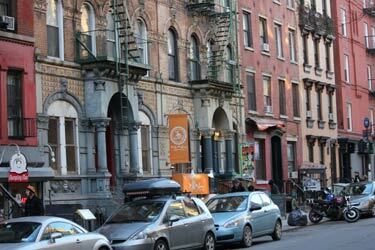 Still, I’ve always found living in New York deeply scary. Without a trust fund or famous parent (and even then, sometimes you need both), the odds of success are ludicrous. It’s not just the fact that you don’t have any money. It’s that money no longer makes sense. This is the part that took me forever to figure out. Read the whole thing, which is apparently an excerpt from the young lady’s “How-I-Came-to-My-Senses-an-Got-the-Hell-Out-of-NYC” memoir (published as a quite inexpensive eBook). 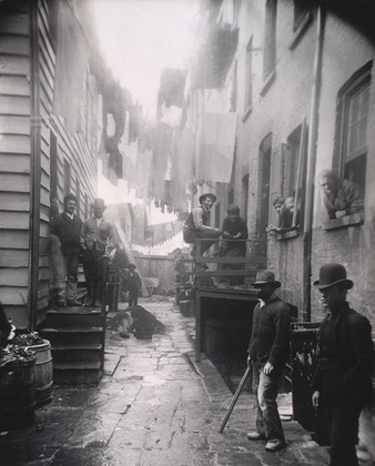 Jacob Riis, Bandits’ Roost — 59 1/2 Mulberry Street, 1888. John DeVore has a great rant expressing his love/hate relationship with the world’s financial center city which just elected a communist mayor by a 73% margin. New York is Galactus. New York is Cthulhu. 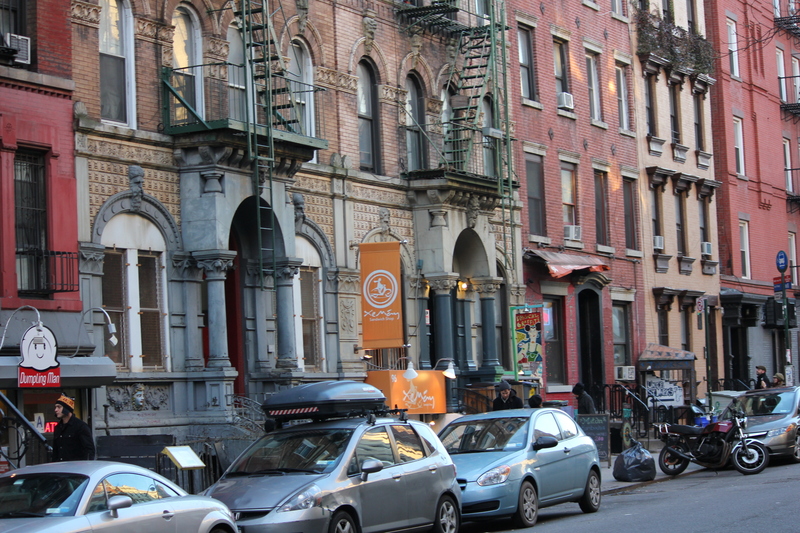 New York doesn’t change; it mutates. Evolves. In two hundred years it will have a hundred thousand centipede legs and the entire mass will migrate south for the winter. Joshua M. Brown, aka The Reformed Broker, at Business Insider, deplores the judgement of whoever decided on this year’s Super Bowl location. 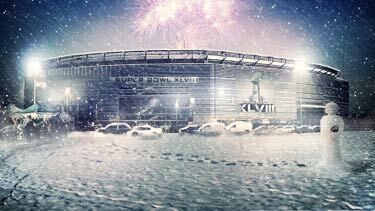 This Sunday, Super Bowl XLVIII (48) will be played in an open-air stadium, built atop a New Jersey swamp, in 2 degree weather, while pretending it’s actually taking place in New York. I don’t know what confederacy of dunces within the NFL thought this was a good idea. It might be the worst idea. It’s shaping up to be the saddest Super Bowl ever. For starters, it’s certainly going to be the coldest. Weather guys are talking about 2 to 7 degrees. Ticket prices are dropping by thousands of dollars. People are trying to get rid of their seats rather than sit through the pain of a sub-arctic February night outdoors. Not to mention the shlep. If it snows that day, the highways and byways between NY and NJ will become so impassable you’ll need to leave your family permanently and start a new one somewhere around Teaneck Township off of the I-80. The two main focal points for the [“New York”] pre-game “party” are located at Times Square and Herald Square. There are two places in Manhattan that no native New Yorker will ever set foot in, for any reason, ever: Times Square and Herald Square. I know people who’ve quit jobs or broken up relationships because their route involved traipsing through either of these places. Times Square is essentially a petting zoo New Yorkers have set up so that they can see real-live Americans up-close in a protected environment and maybe feed them something. Herald Square, the triangle anchored by Macy*s, is what your town’s main strip mall would look like if they were to airlift unnavigable crowds and an aggressive traffic snarl right smack in front of it and slather the pavement in a gauzy layer of perma-grime and chewed gum. 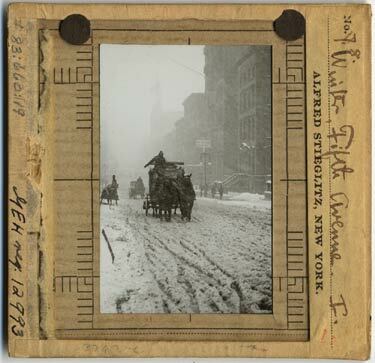 And it’s not only the weather, the characteristic obnoxia of New Yorkers, and the lack of suitable locations to party in Manhattan that represent unpleasant aspects of the situation. If you choose to attend, you are going to have the endemic chickenshit fascism of rustbucket Northeastern governments to put up with as well. It doesn’t matter if you’ve dropped thousands of dollars on tickets. It doesn’t matter if you’ve traveled 3,000 miles to get there. And it doesn’t matter if you offer to shovel the snow that’s sure to come to the Meadowlands. Don’t even think about hiring a taxi or limo to drop you off at the front gates. If a car doesn’t have a parking pass, it won’t get near the stadium. Oh and by the way, there are only 13,000 parking spots for the use of fans. Don’t even think about walking to the Super Bowl either. “You can get your hotel to drop you off at one of the New Jersey Transit locations or get the shuttle to take you to a Fan Express location, but you cannot walk,” Smith said. If it snows, it’s every man for himself. 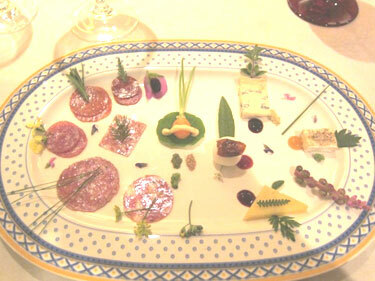 Hunger Games style. From Old Picture of the Day via Fred Lapides. 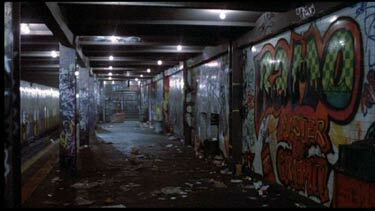 NYC voted to go back to the 1970s, back to grafitti, squeegee men, and muggings. Dan Greenfield has some words of congratulation for NYC voters. 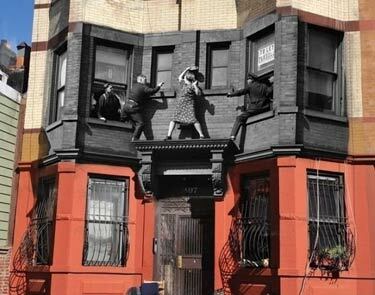 Do you miss the old New York City? Remember when subway trains were covered in graffiti, a news hour began with six shootings and everyone who lived in the city had been mugged at least once? Remember when Times Square had more strip clubs than theaters and when you could afford an apartment in the village because it was a drug infested mess? Remember when the city and everyone living in it were on the verge of bankruptcy and the only people who had money lived upstate or in a small cluster of Manhattan? 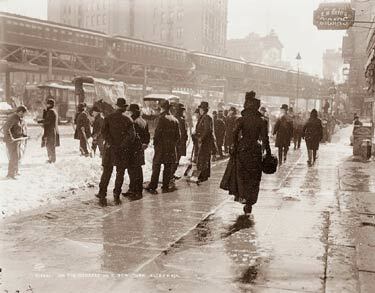 Remember when everything was grimy and had a layer of filth, when people moved to the city because they wanted to slum, when nothing worked and no one cared and the only difference between New York and Chicago was that it had taller buildings? If you miss that classic New York, there’s good news because Bill de Blasio is bringing it back. The muggers are coming back. The squeegee men are coming back. The crazy people randomly stabbing you on the subway, the gangs shooting each other over turf, the race rioters marching through neighborhoods and shouting, “Whose streets, our streets”– they’re all coming back. Because the polls have spoken. And it’s De Blasio time now. No more fascist cops hassling “innocent” people. 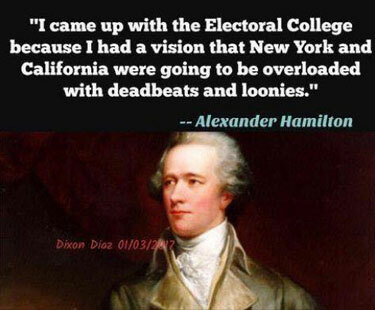 Bill de Blasio won’t put up with any of that. De Blasio will put the cops in their place, inside a Dunkin Donuts and away from people. They’ll still get paid. They’re in a union. They just won’t lift a finger to help you because they’ll have more special monitors and civilian complaint review boards on their necks than they can handle. And next time one of the innocent victims of Stop and Frisk is pounding your face into the sidewalk with one hand while digging through your pockets with the other, wave to the pair of beat cops sitting in the window of the coffee shop. And they’ll wave back without getting up. Because you voted for this. And you’re getting what you deserve. From Nothing Via via Madame Scherzo. the Archives of Never Yet Melted in the 'New York' Category.